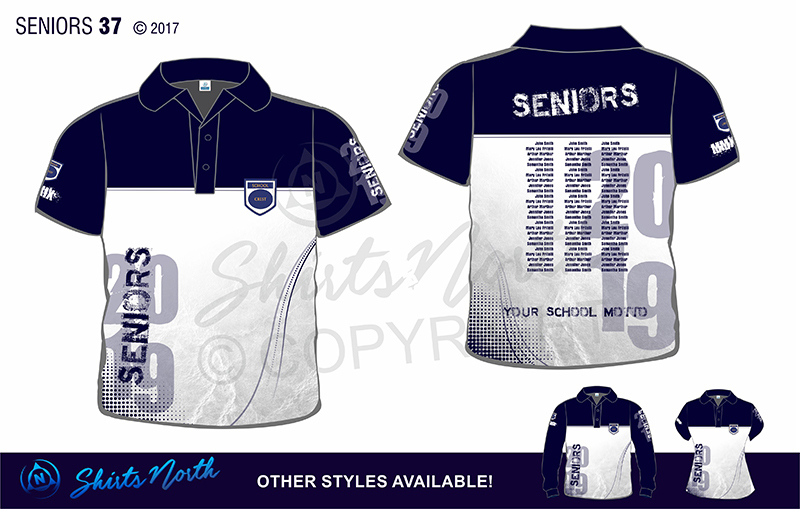 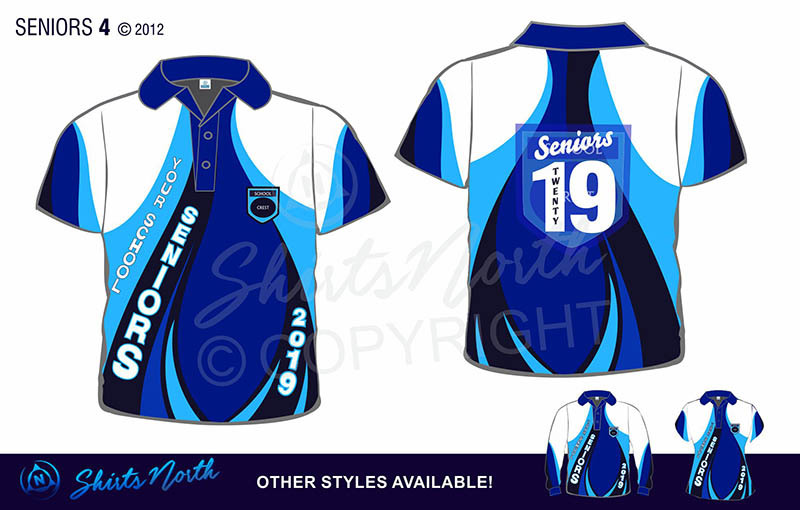 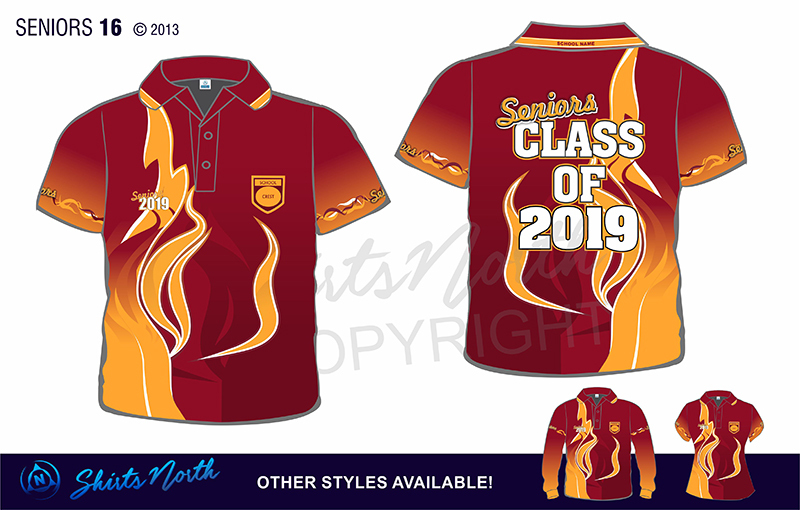 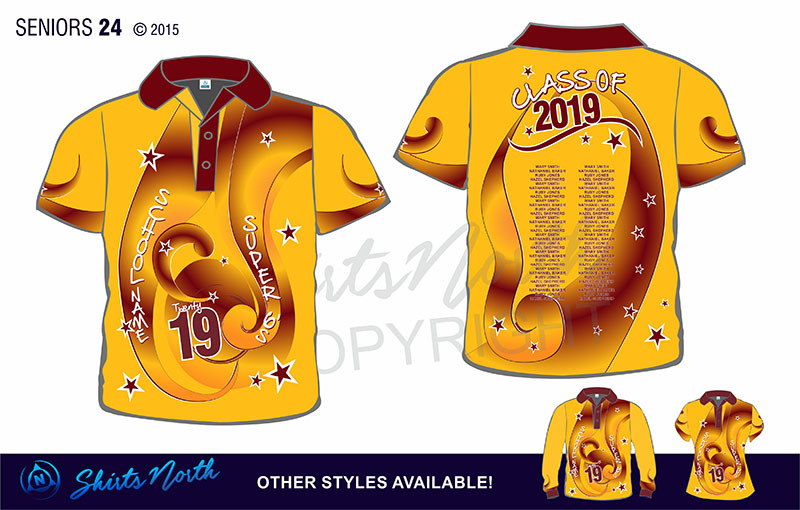 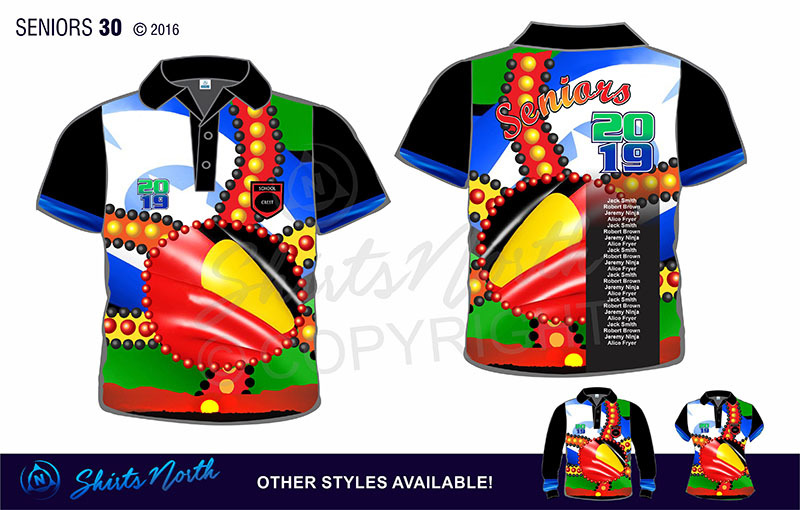 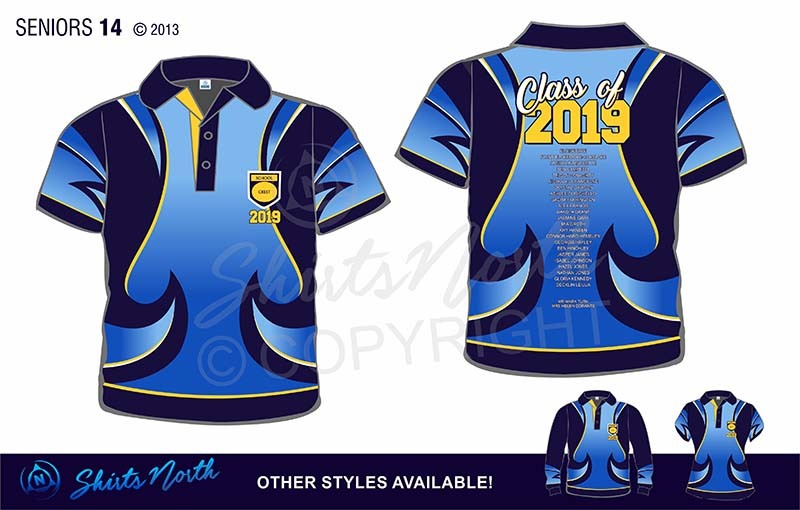 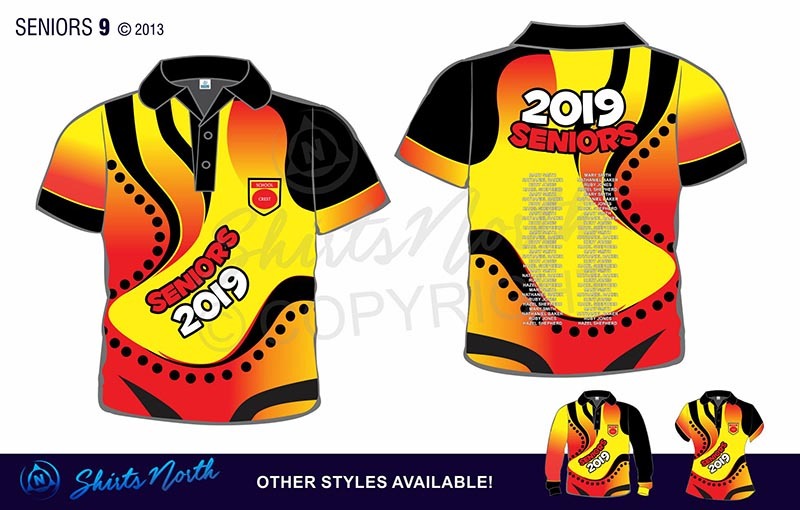 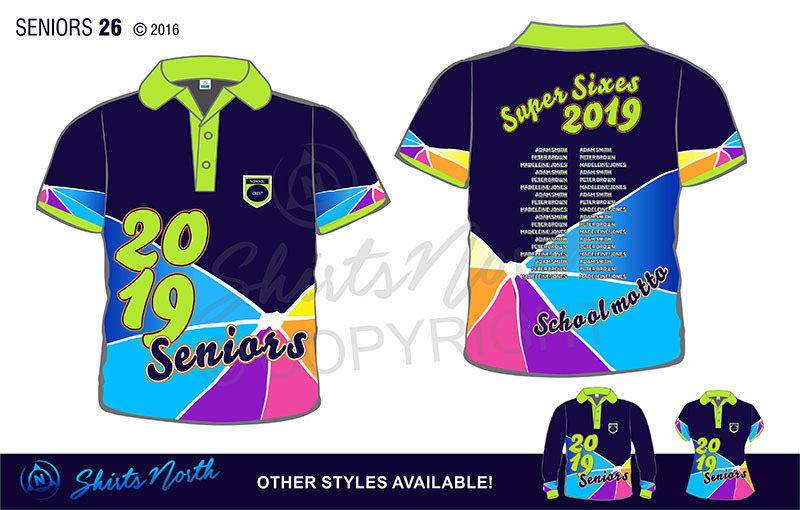 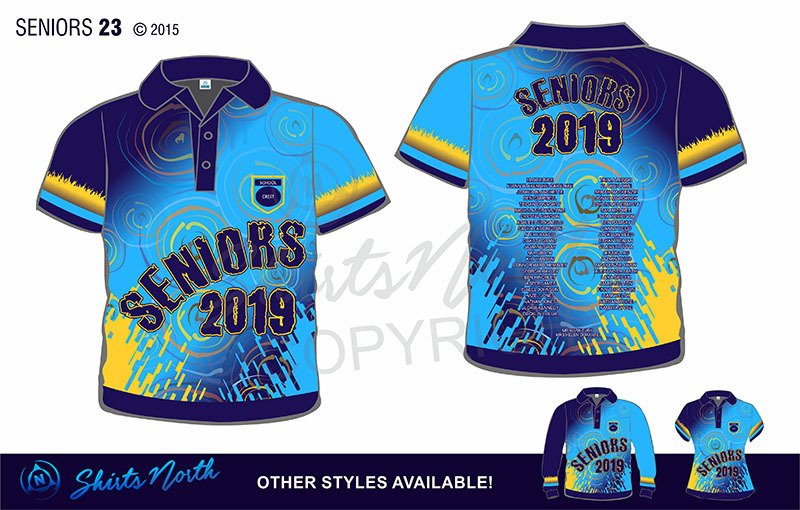 Seniors sublimated polos come in a variety of colours, cuts and designs to ensure you truly get the look you’re after! 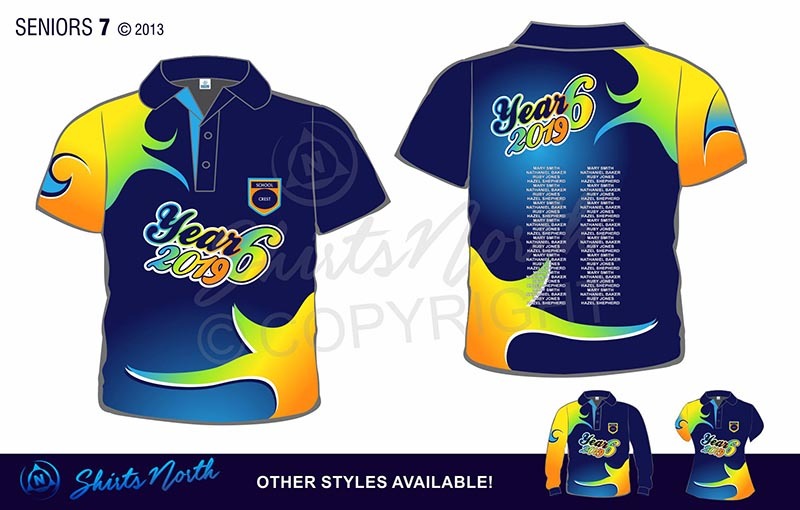 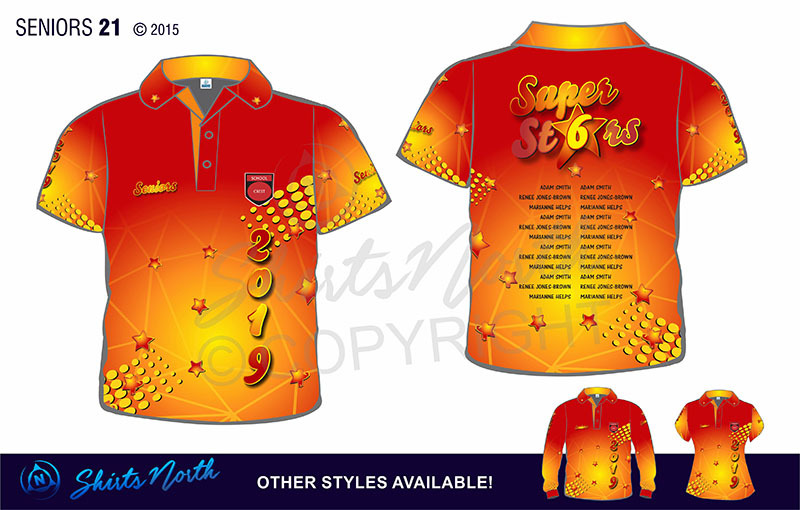 Year 6 and Year 12 students will love the keepsakes polo to commemorate their time at school. Want to make it easy? Choose from one of our designs below and our artists will colour it in your school colours. Want a unique design that no one has seen before? 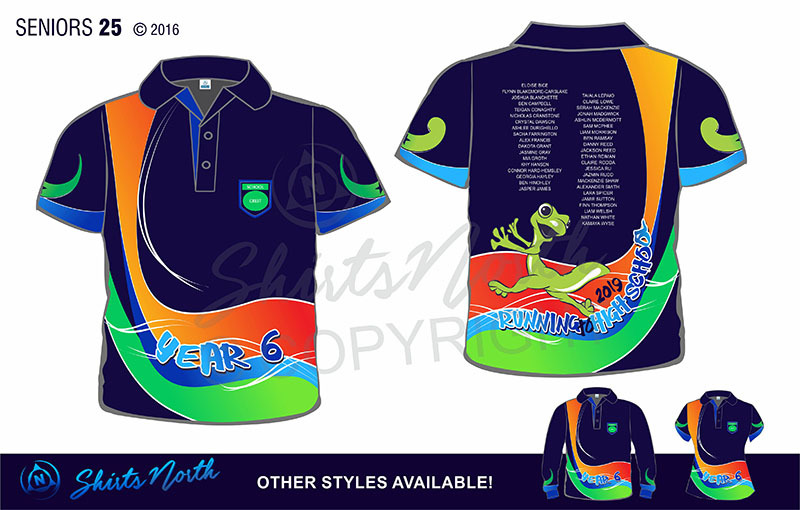 Get the kids collaborating on an exciting, creative project! 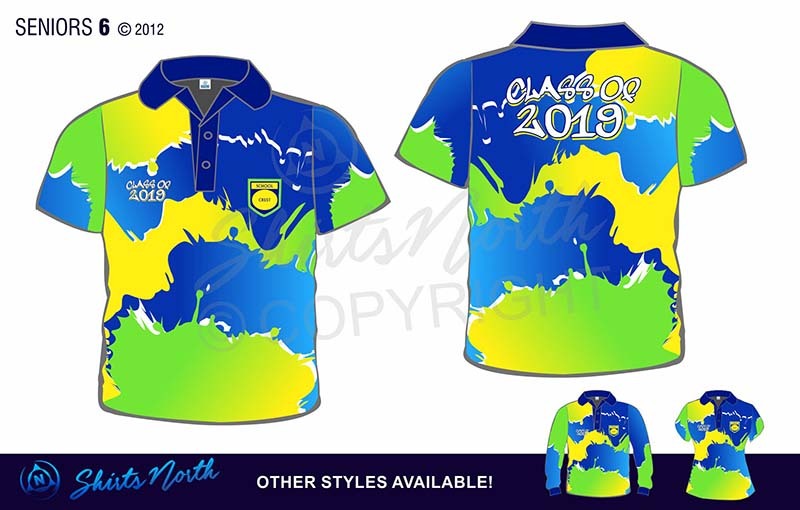 Your students can sketch their own creation, illustrating the uniqueness of your school. Our artists will then bring it to life! 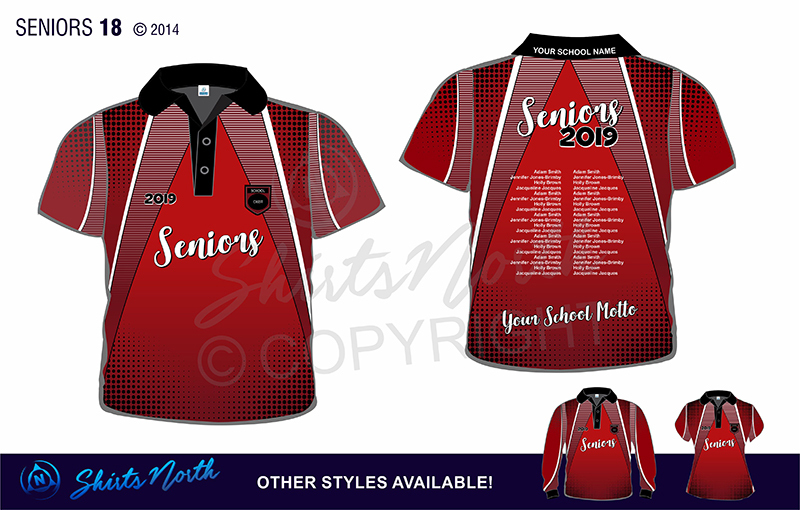 All artwork can be tailored with a class list, school logo and motto. 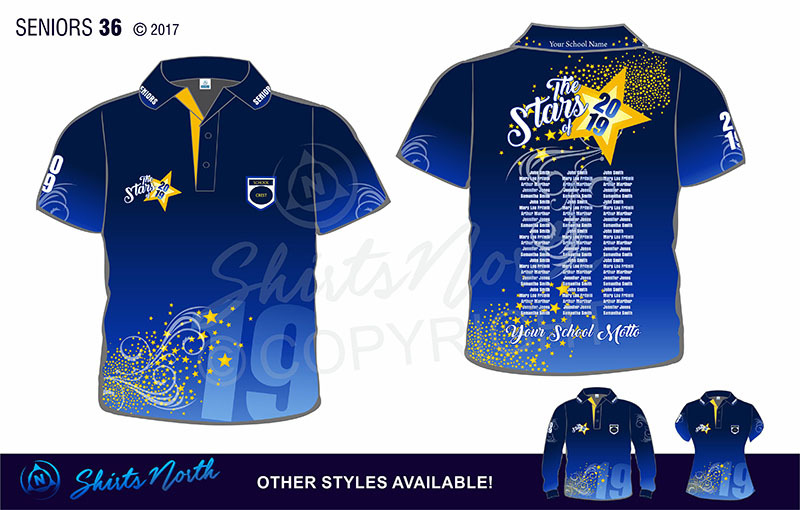 Since you’re a great team, matching staff polo’s can be added to your order, making it even more fun! Available in short or long sleeves, these polo’s are made from breathable, lightweight fabric especially ideal for the Australian climate. 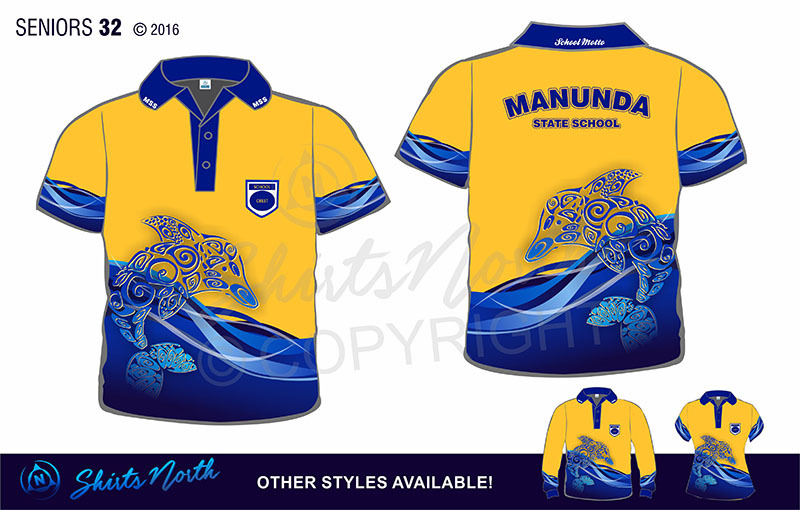 We supply under the DETE SOA Preferred Supplier Arrangement, thus supplying to Queensland Schools and P & C’s.